A friend asked me to forward a feature I wrote here about use of atomic weapons in ancient India. At first, I couldn’t find it; then, I couldn’t access my PC and earned his wrath for non-response. Hence a fresh layout herebelow, but with a broader context. First : Some quotes … and anecdotes. You will find elsewhere more about distorted presentations of Indian History and the civilisational heritage of the land by early Indologists, prejudiced to colonial agenda, and by subsequent uncritical historians who found their doctorates under that spelled line of motivated thought. So great were Emerson and Thoreau’s appreciation of Vedantic literatures that they became known as the American transcendentalists. Their writing is suffused with Vedic thought. Raised a Jew, Oppenheimer always gave the book – Bhagavad Gita – as a present to his friends and kept a copy on the shelf closest to his desk. At Franklin Roosevelt’s funeral he read a passage from the Gita chapter 17 verse 3 “Man is a creature whose substance is faith, what his faith is, he is”. Lin Yutang, Chinese scholar and author : “India was China’s teacher in trigonometry, quadratic equations, grammar, phonetics… “. In 1996 in the Egyptian Museum in Cairo, Italian mineralogist Vincenzo de Michele spotted an unusual yellow-green gem in the middle of one of Tutankhamun’s necklaces. The jewel was tested and found to be glass, but intriguingly it is older than the earliest Egyptian civilization. Geologists traced its origins to unexplained chunks of glass found scattered in the sand in a remote region of the Sahara Desert. But the glass is itself a scientific enigma. 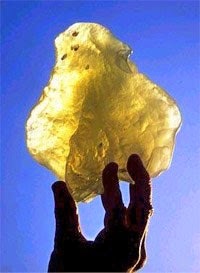 Pieces of Libyan Desert Glass weighing as much as 16 pounds are found in an oval area measuring approximately 130 by 53 kilometers. The clear-to-yellowish-green pieces are concentrated in sand-free corridors between north-south dune ridges. How did it get to be there; and, who or what made it ? An Austrian astrochemist Christian Koeberl established that the glass had been formed at a temperature so hot that there could be only one known natural cause : a meteorite impact on Earth. But there are no signs of such an impact even in satellite images. 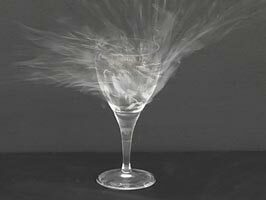 The desert glass has another possible terrestrial explanation – one that includes atomic war or other high-tech process capable of melting the sand. 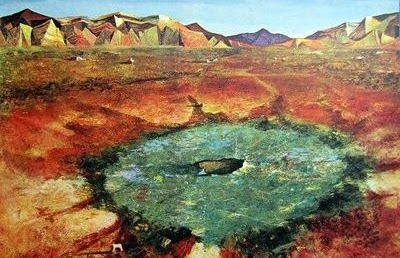 The first atomic bomb detonation by the United States in New Mexico at the Trinity test site in 1945 created so much heat that it formed a crater of radioactive green glass in the desert, about 10 feet deep and over 1,000 feet in width. The same type of glass is found in India. In fact, it is found in Ireland, Scotland, France, Turkey and other places as well. There is no logical explanation for the vitrification of stone forts and cities, except from an atomic blast. Futhermore, at Mohenjo-Daro, a well planned city laid to a grid, with a plumbing system superior to those used in Pakistan and India today, the streets were littered with “black lumps of glass.” These globs of glass were identified to be clay pots that had melted under intense heat ! Incredible as it may seem, these vitrified lumps of clay or sand are likely evidence of atomic explosions. When excavations of Harappa and Mohenjo-Daro reached the street level, archeologists discovered skeletons scattered about the cities, many still holding hands and sprawling in the streets as if an instant, horrible doom had occured. People were just lying, unburied, in the streets of the city from thousands of years ago, yet undecayed or eaten by wild animals, with no apparent cause to explain the apocalypse. These skeletons are among the most radioactive ever found, on par with those at Hiroshima and Nagasaki. At one site, Soviet scholars found a skeleton which had a radioactive level 50 times greater than normal. While the skeletons have been carbon-dated to 2500 BC, we must keep in mind that carbon-dating involves measuring the amount of radiation left. When atomic explosions are involved, the tests make them seem much younger. Other cities have been found in northern India that show indications of explosions of great magnitude. One such city, found between the Ganges and the mountains of Rajmahal, seems to have been subjected to intense heat. Huge masses of walls and foundations of the ancient city are fused together, literally vitrified ! And since there is no indication of a volcanic eruption or meteorite impact at this city, or at Mohenjo-Daro and other places revealing similar evidence, the intense heat to melt clay, stone or sand can only be explained by an atomic blast or some other unknown weapon. Another curious sign of an ancient nuclear war in India is a giant crater near Bombay. The nearly circular 2,154-metre-diameter Lonar crater, located 400 kilometers northeast of Bombay and age-tested to be less than 50,000 years old, could be related to nuclear warfare. No trace of any meteoric material, etc., has been found at the site or in the vicinity, and this is the world’s only known “impact” crater in basalt. Indications of great shock (from a pressure exceeding 600,000 atmospheres) and intense, abrupt heat (indicated by basalt glass spherules) can be ascertained from site conditions. According to the magazine Free World, archaeologists digging in the ancient Euphrates Valley have uncovered a layer of agrarian culture 8,000 years old, a layer of herdsman culture much older, and a still older caveman culture. Recently, they reached another layer of fused green glass. It is well known that atomic detonations on or above a sandy desert will melt the silicon in the sand and turn the surface of the Earth into a sheet of glass. But if sheets of ancient desert glass can be found in various parts of the world, does it mean that atomic wars were fought in the ancient past or, at the very least, that atomic testing occurred in the dim ages of history ? This is a startling theory but one that is not lacking in evidence, as such ancient sheets of desert glass are a geological fact. Lightning strikes can sometimes fuse the sand, meteorologists contend, but this is always in a distinctive root-like pattern. These strange geological oddities are called fulgurites and manifest as branched tubular forms rather than as flat sheets of fused sand. Therefore, lightning is largely ruled out as the cause of such finds by geologists, who prefer to hold onto the theory of a meteor or comet strike as the cause. The problem with this theory is that there is usually no crater associated with these anomalous sheets of glass. Brad Steiger and Ron Calais report in their book, Mysteries of Time and Space, that Albion W. Hart, one of the first engineers to graduate from Massachusetts Institute of Technology, was assigned an engineering project in the interior of Africa. While he and his men were travelling to an almost inaccessible region, they first had to cross a great expanse of desert. “At the time he was puzzled and quite unable to explain a large expanse of greenish glass which covered the sands as far as he could see,” writes Margarethe Casson in an article on Hart’s life in the magazine Rocks and Minerals (no. 396, 1972). One of the great mysteries of classical archaeology is the existence of many vitrified forts in Scotland. Are they also evidence of some ancient atomic war ? Maybe, maybe not. There are said to be at least 60 such forts throughout Scotland. Among the most well-known are Tap o’Noth, Dunnideer, Craig Phadraig (near Inverness), Abernathy (near Perth), Dun Lagaidh (in Ross), Cromarty, Arka-Unskel, Eilean na Goar, and Bute-Dunagoil on the Sound of Bute off Arran Island. Another well-known vitrified fort is the Cauadale hill-fort in Argyll, West Scotland. One of the best examples of a vitrified fort is Tap o’Noth, which is near the village of Rhynie in northeastern Scotland. This massive fort from prehistory is on the summit of a mountain of the same name which, being 1,859 feet (560 meters) high, commands an impressive view of the Aberdeenshire countryside. At first glance it seems that the walls are made of a rubble of stones, but on closer look it is apparent that they are made not of dry stones but of melted rocks ! What were once individual stones are now black and cindery masses, fused together by heat that must have been so intense that molten rivers of rock once ran down the walls. At the point where Loch na Nuagh begins to narrow, where the opposite shore is about one-and-a-half to two miles distant, is a small promontory connected with the mainland by a narrow strip of sand and grass, which evidently at one time was submerged by the rising tide. On the flat summit of this promontory are the ruins of a vitrified fort, the proper name for which is Arka-Unskel. The rocks on which this fort are placed are metamorphic gneiss, covered with grass and ferns, and rise on three sides almost perpendicular for about 110 feet from the sea level. The smooth surface on the top is divided by a slight depression into two portions. On the largest, with precipitous sides to the sea, the chief portion of the fort is situated, and occupies the whole of the flat surface. It is of somewhat oval form. The circumference is about 200 feet, and the vitrified walls can be traced in its entire length. We dug under the vitrified mass, and there found what was extremely interesting, as throwing some light on the manner in which the fire was applied for the purpose of vitrification. The internal part of the upper or vitrified wall for about a foot or a foot-and-a-half was untouched by the fire, except that some of the flat stones were slightly agglutinated together, and that the stones, all feldspatic, were placed in layers one upon another. It was evident, therefore, that a rude foundation of boulder stones was first formed upon the original rock, and then a thick layer of loose, mostly flat stones of feldspatic sand, and of a different kind from those found in the immediate neighborhood, were placed on this foundation, and then vitrified by heat applied externally. This foundation of loose stones is found also in the vitrified fort of Dun Mac Snuichan, on Loch Etive. Hamilton describes another vitrified fort that is much larger, situated on the island at the entrance of Loch Ailort. This island, locally termed Eilean na Goar, is the most eastern and is bounded on all sides by precipitous gneiss rocks; it is the abode and nesting place of numerous sea birds. The flat surface on the top is 120 feet from the sea level, and the remains of the vitrified fort are situated on this, oblong in form, with a continuous rampart of vitrified wall five feet thick, attached at the SW end to a large upright rock of gneiss. The space enclosed by this wall is 420 feet in circumference and 70 feet in width. The rampart is continuous and about five feet in thickness. At the eastern end is a great mass of wall in situ, vitrified on both sides. In the centre of the enclosed space is a deep depression in which are masses of the vitrified wall strewed about, evidently detached from their original site. Was the vitrification the result of design or accident ? How was the vitrification produced ? In this vitrification process, huge blocks of stones have been fused with smaller rubble to form a hard, glassy mass. Explanations for the vitrification are few and far between, and none of them is universally accepted. One early theory was that these forts are located on ancient volcanoes (or the remains of them) and that the people used molten stone ejected from eruptions to build their settlements. This idea was replaced with the theory that the builders of the walls had designed the forts in such a way that the vitrification was purposeful in order to strengthen the walls. This theory postulated that fires had been lit and flammable material added to produce walls strong enough to resist the dampness of the local climate or the invading armies of the enemy. It is an interesting theory, but one that presents several problems. For starters, there is really no indication that such vitrification actually strengthens the walls of the fortress; rather, it seems to weaken them. In many cases, the walls of the forts seem to have collapsed because of the fires. Also, since the walls of many Scottish forts are only partially vitrified, this would hardly have proved an effective building method. Janet and Colin Bord in their book, Mysterious Britain, speak of Maiden Castle to give an idea of the vast extent of this marvel of prehistoric engineering. It covers an area of 120 acres, with an average width of 1,500 feet and length of 3,000 feet, and it has been estimated… that it would require 250,000 men to defend it ! It is hard, therefore, to believe that this construction was intended to be a defensive position. With 250,000 men defending a fort, we are talking about a huge army in a very organized society. This is not a bunch of fur-wearing Picts with spears defending a fort from marauding bands of hunter-gatherers. The questions remain, though. What huge army might have occupied these cliffside forts by the sea or lake entrances ? And what massive maritime power were these people unsuccessfully defending themselves against ? The forts on the western coast of Scotland are reminiscent of the mysterious clifftop forts in the Aran Islands on the west coast of Ireland. Here we truly have shades of the Atlantis story, with a powerful naval fleet attacking and conquering its neighbors in a terrible war. It has been theorized that the terrible battles of the Atlantis story took place in Wales, Scotland, Ireland and England–however, in the case of the Scottish vitrified forts it looks as if these were the losers of a war, not the victors. And defeat can be seen across the land : the war dykes in Sussex, the vitrified forts of Scotland, the utter collapse and disappearance of the civilization that built these things. What long-ago Armageddon destroyed ancient Scotland ? Could a form of Greek fire have been responsible for the vitrification ? With siege machines, battleships and Greek fire, did a vast flotilla storm the huge forts and eventually burn them down in a hellish blaze ? The evidence of the vitrified forts is clear : some hugely successful and organized civilization was living in Scotland, England and Wales in prehistoric times, circa 1000 BC or more, and was building gigantic structures including forts. This apparently was a maritime civilization that prepared itself for naval warfare as well as other forms of attack. Vitrified ruins can also be found in France, Turkey and some areas of the Middle East. Vitrified forts in France are discussed in the American Journal of Science (vol. 3, no. 22, 1881, pp. 150-151) in an article entitled “On the Substances Obtained from Some ‘Forts Vitrifiés’ in France”, by M. Daubrée. The author mentions several forts in Brittany and northern France whose granite blocks have been vitrified. He cites the “partially fused granitic rocks from the forts of Château-vieux and of Puy de Gaudy (Creuse), also from the neighborhood of Saint Brieuc (Côtes-du-Nord)”. Daubrée, understandably, could not readily find an explanation for the vitrification. Similarly, the ruins of Hattusas in central Turkey, an ancient Hittite city, are partially vitrified. The Hittites are said to be the inventors of the chariot, and horses were of great importance to them. It is on the ancient Hittite stelae that we first see a depiction of the chariot in use. However, it seems unlikely that horsemanship and wheeled chariots were invented by the Hittites; it is highly likely that chariots were in use in ancient China at the same time. The Hittites were also linked to the world of ancient India. Proto-Indic writing has been found at Hattusas, and scholars now admit that the civilization of India, as the ancient Indian texts like the Ramayana have said, goes back many millennia. In his 1965 book, The Bible as History, German historian Werner Keller cites some of the mysteries concerning the Hittites. According to Keller, the Hittites are first mentioned in the Bible (in Genesis 23) in connection with the biblical patriarch Abraham who acquired from the Hittites a burial place in Hebron for his wife Sarah. Conservative classical scholar Keller is confused by this, because the time period of Abraham was circa 2000-1800 BC, while the Hittites are traditionally said to have appeared in the 16th century BC. Even more confusing to Keller is the biblical statement (in Numbers 13:29-30) that the Hittites were the founders of Jerusalem. This is a fascinating statement, as it would mean that the Hittites also occupied Ba’albek, which lies between their realm and Jerusalem. The Temple Mount at Jerusalem is built on a foundation of huge ashlars, as is Ba’albek. The Hittites definitely used the gigantic megalithic construction known as cyclopean–huge, odd-shaped polygonal blocks, perfectly fitted together. The massive walls and gates of Hattusas are eerily similar in construction to those in the high Andes and other megalithic sites around the world. The difference at Hattusas is that parts of the city are vitrified, and the walls of rock have been partly melted. If the Hittites were the builders of Jerusalem, it would mean that the ancient Hittite Empire existed for several thousand years and had frontiers with Egypt. Indeed, the Hittite hieroglyphic script is undeniably similar to Egyptian hieroglyphs, probably more so than any other language. Just as Egypt goes back many thousands of years BC and is ultimately connected to Atlantis, so does the ancient Hittite Empire. Like the Egyptians, the Hittites carved massive granite sphinxes, built on a cyclopean scale and worshipped the Sun. The Hittites also used the common motif of a winged disc for their Sun god, just as the Egyptians did. The Hittites were well known in the ancient world because they were the main manufacturers of iron and bronze goods. The Hittites were metallurgists and seafarers. Their winged discs may in fact have been representations of vimanas — flying machines. Some of the ancient ziggurats of Iran and Iraq also contain vitrified material, sometimes thought by archaeologists to be caused by the Greek fire. For instance, the vitrified remains of the ziggurat at Birs Nimrod (Borsippa), south of Hillah, were once confused with the Tower of Babel. The ruins are crowned by a mass of vitrified brickwork — actual clay bricks fused together by intense heat. This may be due to the horrific ancient wars described in the Ramayana and Mahabharata, although early archaeologists attributed the effect to lightning. Several historical records claim that Indian culture has been around for literally tens of thousands of years. Yet, until 1920, all the “experts” agreed that the origins of the Indian civilization should be placed within a few hundred years of Alexander the Great’s expedition to the subcontinent in 327 BC. However, that was before several great cities like Harappa and Mohenjo-Daro (Mound of the Dead), Kot Diji, Kalibanga and Lothal were discovered and excavated. Lothal, a former port city now miles from the ocean, was discovered in Gujarat, western India, just in the late 20th century. These discoveries have forced archaeologists to push back the dates for the origin of Indian civilization by thousands of years — in line with what the Indians themselves have insisted all along. A wonder to modern-day researchers, the cities were highly developed and advanced. The way that each city was laid out in regular blocks, with streets crossing each other at right angles and the entire city laid out in sections, gives archaeologists cause to believe that the cities were conceived as a whole before they were built–a remarkable early example of city planning. Even more remarkable is that the plumbing/sewage systems throughout the large cities were so sophisticated–superior to those found in Pakistan, India and many Asian countries today. Sewers were covered, and most homes had private toilets and running water. Furthermore, the water and sewage systems were kept well separated. This advanced culture had its own writing, which has never been deciphered. The people used personalized clay seals, much as the Chinese still do today, to officialize documents and letters. Some of the seals found contain figures of animals that are unknown to us today, including an extinct form of the Brahman bull. Archaeologists really have no idea who the builders were, but their attempts to date the ruins (which they ascribe to the “Indus Valley civilization”, also called “Harappan”) have come up with something like 2500 BC and older, but radiation from the wars apparently fought in the area may have thrown off the date. The Rama Empire, described in the Mahabharata and Ramayana, was supposedly contemporaneous with the great cultures of Atlantis and Osiris in the West. Atlantis, well known from Plato’s writings and ancient Egyptian records, apparently existed in the mid-Atlantic and was a highly technological and patriarchal civilization. The Osirian civilization existed in the Mediterranean basin and northern Africa, according to esoteric doctrine and archaeological evidence, and is generally known as pre-dynastic Egypt. It was flooded when Atlantis sank and the Mediterranean began to fill up with water. The Rama Empire flourished during the same period, according to esoteric tradition, fading out in the millennium after the destruction of the Atlantean continent. As noted above, the ancient Indian epics describe a series of horrific wars–wars which could have been fought between ancient India and Atlantis, or perhaps a third party in the Gobi region of western China. The Mahabharata and the Drona Parva speak of the war and of the weapons used: great fireballs that could destroy a whole city; “Kapila’s Glance”, which could burn 50,000 men to ashes in seconds; and flying spears that could ruin whole “cities full of forts”. The Rama Empire was probably started by the Nagas (Naacals) who had come into India from Burma and ultimately from “the Motherland to the east”–or so Colonel James Churchward was told. After settling in the Deccan Plateau in northern India, they made their capital in the ancient city of Deccan, where the modern city of Nagpur stands today. The empire of the Nagas apparently began to extend all over northern India to include the cities of Harappa, Mohenjo-Daro and Kot Diji (now in Pakistan), as well as Lothal, Kalibanga, Mathura and possibly other cities such as Benares, Ayodha and Pataliputra. These cities were led by “Great Teachers” or “Masters” who were the benevolent aristocracy of the Rama civilization. Today they are generally called “Priest-Kings” of the Indus Valley civilization, and a number of statues of these so-called gods have been discovered. In reality, these were apparently men whose mental and psychic powers were of a degree that seems incredible to most people of today. It was at the height of power for both the Rama Empire and Atlantis that the war allegedly broke out, seemingly because of Atlantis’s attempt to subjugate Rama. According to the Lemurian Fellowship lesson materials, the populace surrounding Mu (Lemuria, which predated the other civilizations) eventually split into two opposing factions : those who prized practicality and those who prized spirituality. The citizenry, or educated elite, of Mu itself was balanced equally in these two qualities. The citizenry encouraged the other groups to emigrate to uninhabited lands. Those who prized practicality emigrated to the Poseid Island group (Atlantis), and those who prized spirituality eventually ended up in India. The Atlanteans, a patriarchal civilization with an extremely materialistic, technologically oriented culture, deemed themselves “Masters of the World” and eventually sent a well-equipped army to India in order to subjugate the Rama Empire and bring it under the suzerainty of Atlantis. We of India have no quarrel with you of Atlantis. We ask only that we be permitted to follow our own way of life. We of India do not believe in war and strife, peace being our ideal. Neither would we destroy you or your soldiers who but follow orders. However, if you persist in your determination to attack us without cause and merely for the purpose of conquest, you will leave us no recourse but to destroy you and all of your leaders. Depart, and leave us in peace. Arrogantly, the Atlanteans did not believe that the Indians had the power to stop them, certainly not by technical means. At dawn, the Atlantean army began to march on the city. From a high viewpoint, the Priest-King sadly watched the army advance. Then he raised his arms heavenward, and using a particular mental technique he caused the General and then each officer in order of rank to drop dead in his tracks, perhaps of some sort of heart failure. In a panic, and without leaders, the remaining Atlantean force fled to the waiting vailixi and retreated in terror to Atlantis. Of the sieged Rama city, not one man was lost. While this may be too fanciful to accept, the Indian epics go on to tell the rest of the horrible story, and things do not turn out well for Rama. Assuming the above story is true, Atlantis was not pleased at the humiliating defeat and therefore used its most powerful and destructive weapon — quite possibly an atomic-type weapon ! In the way we traditionally view ancient history, it seems absolutely incredible that there was an atomic war approximately 10,000 years ago or thereabout. And yet, of what else could the Mahabharata be speaking ? Or is this just a poetic way to describe cavemen clubbing each other to death; after all, that is what we are told the ancient past was like ! Until the bombing of Hiroshima and Nagasaki, modern mankind could not imagine any weapon as horrible and devastating as those described in the ancient Indian texts. Yet they very accurately described the effects of an atomic explosion : Radioactive poisoning will make hair and nails fall out. Immersing oneself in water gives some respite, though is not a cure. of the Universe (nuclear device). as bright as ten thousand suns, rose with all its splendor. Reference to ancient Indian flying vehicles comes from ancient Indian sources, many in the well known Epics; and there are literally hundreds of others, most not yet translated into English from the old sanskrit. Few years ago, the Chinese discovered some sanskrit documents in Lhasa, Tibet, and sent them to the University of Chandigarh, India, to be translated. Dr. Ruth Reyna of the University said recently that the documents contain directions for building interstellar spaceships ! The Ramayana describes a Vimana as a double-deck, cylindrical aircraft with portholes and a dome. It flew with the speed of the wind and gave forth a humming noise. Ancient Indian texts on Vimanas are so numerous. The ancient Indians wrote entire flight manuals on the control of various types of Vimanas. “The pilot is one who knows the secrets.” Bodhaanada : Scientists say that there are 32 secrets of the working of the Vimaana. A pilot should acquaint himself thoroughly with them before he can be deemed competent to handle the aeroplane. He must know the structure of the aeroplane, know the means of its take off and ascent to the sky, know how to drive it and how to halt it when necessary, how to maneuver it and make it perform spectacular feats in the sky without crashing. 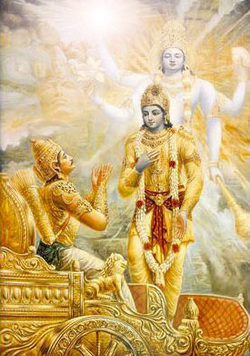 “The pilot should have had training in maantrica and taantrica, kritaka and antaraalaka, goodha or hidden, drishya and adrishya or seen and unseen, paroksha and aparoksha, contraction and expansion, changing shape, look frightening, look pleasing, become luminous or enveloped in darkness, deluge or pralaya, vimukha, taara, stun by thunderstorm din, jump, move zig-zag like serpent, chaapala, face all sides, hear distant sounds, take pictures, know enemy maneuver, know direction of enemy approach, stabdhaka or paralyse, and karshana or exercise magnetic pull. that aerial and excellent car going everywhere at will…. that car resembling a bright cloud in the sky. In the Mahabharatra, we learn that an individual named Asura Maya had a Vimana measuring twelve cubits in circumference, with four strong wheels. The poem is a veritable gold mine of information relating to conflicts between gods who settled their differences apparently using lethal weapons as lethal. Apart from ‘blazing missiles’, the poem records the use of other deadly weapons. ‘Indra’s Dart’ operated via a circular ‘reflector’; when switched on, it produced a ‘shaft of light’ which, when focused on any target, immediately ‘consumed it with its power’. The Ramayana and the Mahabharata seem like science fiction. Not only did aircraft exist such as Vimanas and Vailxi (as the Atlantian craft are called), they had nuclear weapons. This quotation comes from the translation by N. Dutt in 1891 : “At Rama’s behest the magnificent chariot rose up to a mountain of cloud with a tremendous din..” We cannot help notice that not only is a flying object mentioned again but also that the chronicler talks of a tremendous din. Here is another passage from the Mahabharata : “Bhisma flew with his Vimana on an enormous ray which was as brilliant as the sun and made a noise like the thunder of a storm.” ( C.Roy 1899). Even imagination needs something to start off. How can the chronicler give graphic and vivid descriptions that presuppose at least some basis for him to imagine rockets and the knowledge that such a vehicle can ride on a ray and cause a terrifying thunder ? Certain numerical data in the Mahabharata are so precise that one gets the impression that the author was writing from first-hand knowledge. Though full of revulsion, he describes a weapon that could kill all warriors who wore metal on their bodies. If the warriors learned about the effect of this weapon in time, they tore off all the metal equipment they were wearing, jumped into a river and thoroughly washed everything they were wearing or had come in contact with. Not without reason, as the author explains, for the weapons made the hair and nails fall out. Birds croaked madly… the very elements seemed disturbed. The earth shook, scorched by the terrible violent heat of this weapon. over a vast area, while other animals crumpled to the ground and died. It was as if the elements had been unleashed. The sun spun round. Scorched by the incandescent heat of the weapon, the world reeled in fever. Elephants were set on fire by the heat and ran to and fro in a frenzy to seek protection from the terrible violence. The water boiled, animals died, the enemy was mown down, and the raging of the blaze made the trees collapse in rows as in a forest fire. The elephants trumpeted fearfully and sank dead to the ground over a vast area. Horses and war chariots were burnt up and the scene looked like the aftermath of a conflagration. Thousands of chariots were destroyed, then deep silence descended on the sea. The winds began to blow and the earth grew bright. It was a terrible sight to see. The corpses of the fallen were mutilated by the terrible heat so that they no longer looked like human beings. Never before have we seen such a ghastly weapon and never before have we heard of such a weapon. (C. Roy 1889). to ashes the entire race of the Vrishnis and the Andhakas.” is actually found in Section 1 of Mausala Parva. These great Indian scientists/king were supposed to catalogue the many sciences. Ashoka kept their work secret because he was afraid that the advanced science catalogued by these men, culled from ancient Indian sources, would be used for evil purposes and war, which Ashoka was strongly against, having been converted to Buddhism after defeating a rival army in a bloody battle. The “Nine Unknown Men” wrote a total of nine books, presumably one each. This book, known to historians, but not actually seen by them dealt chiefly with “gravity control.” It is presumably still around somewhere, kept in a secret library in India, Tibet or elsewhere (maybe in North America). One can understand Ashoka’s reasoning for wanting to keep such knowledge a secret : He must have been aware of the devastating wars using such advanced vehicles and other “futuristic weapons” that had destroyed the ancient Indian “Rama Empire” and during the Great Bharata War. Dr. Reyna said that on board these machines, which were called “Astras”, the ancient Indians could have sent a detachment of men onto any planet, according to the document, which is thought to be thousands of years old. 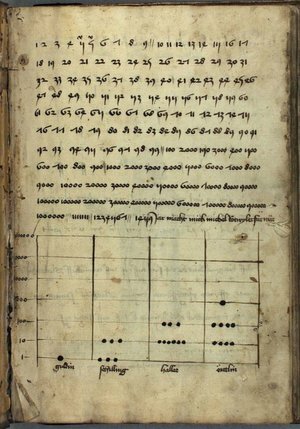 The manuscripts were also said to reveal the secret of “antima”, “the cap of invisibility”, and “garima” — “how to become as heavy as a mountain of lead.” Naturally, Indian scientists did not take the texts very seriously, but then became more positive about their value when the Chinese announced that they were including certain parts of the data for study in their space program ! This was one of the first instances of a government admitting to be researching anti-gravity. clear whether this trip was actually carried out. However, one of the great Indian epics, the Ramayana, does have a highly detailed story in it of a trip to the moon in a Vimana (or “Astra”), and in fact details a battle on the moon with an “Asvin” (or Atlantean”) airship. This is but a small bit of recent evidence of anti-gravity and aerospace technology used by Indians. To really understand the technology, we must go much further back in time. The so called “Rama Empire” of Northern India and Pakistan developed at least fifteen thousand years ago on the Indian subcontinent and was a nation of many large, sophisticated cities, many of which are still to be found in the deserts of Pakistan, northern, and western India. Rama cities existed, apparently, parallel to the Atlantean civilization in the mid- Atlantic Ocean, and were ruled by “enlightened Priest-Kings”. The seven greatest capital cities of Rama were known in classical Hindu texts as The Seven Rishi Cities. According to ancient Indian texts, people had flying machines called “Vimanas.” There seems to be no doubt that Vimanas were powered by some sort of “anti-gravity.” Vimanas took off vertically and were capable of hovering in the sky, like a modern helicopter. Bharadvaj – the Wise – refers to no less than seventy authorities and 10 experts of air travel in antiquity. These sources are now lost. Vimanas were kept in a Vimana Griha, a kind of hanger, and were sometimes said to be propelled by a yellowish-white liquid, and sometimes by some sort of mercury compound, though writers seem confused in this matter. It is most likely that the later writers on Vimanas, wrote as observers and from earlier texts, and were understandably confused on the principle of their propulsion. The “yellowish- white liquid” sounds suspiciously like gasoline, and perhaps Vimanas had a number of different propulsion sources, including combustion engines and even “pulse-jet” engines. It is interesting to note, that the Nazis developed the first practical pulse-jet engines for their V-8 rocket “buzz bombs.” Hitler and the Nazi staff were exceptionally interested in ancient India and Tibet and sent expeditions to both these places yearly, starting in the 30′s, in order to gather esoteric evidence, and perhaps it was from these people that the Nazis gained some of their scientific information! According to the Drona Parva, part of the Mahabarata, and the Ramayana, one Vimana described was shaped like a sphere and borne along at great speed on a mighty wind generated by mercury. It moved going up, down, backwards and forwards as the pilot desired. In another Indian source, the Samar, Vimanas were “iron machines, well-knit and smooth, with a charge of mercury that shot out of the back in the form of a roaring flame.” Another work called the Samarangana Sutradhara describes how the vehicles were constructed. It is possible that mercury did have something to do with the propulsion, or more possibly, with the guidance system. Curiously, Soviet scientists have discovered what they call “age old instruments used in navigating cosmic vehicles” in caves in Turkestan and the Gobi Desert. The “devices” are hemispherical objects of glass or porcelain, ending in a cone with a drop of mercury inside. Possibly, ancient Indians flew around in these vehicles, all over Asia, and to the Atlantis and South America. Writing found at Mohenjodaro in Pakistan (presumed to be one of the “Seven Rishi Cities of the Rama Empire”) and still undeciphered, has also been found in one other place in the world : Easter Island ! Writing on Easter Island, called Rongo Rongo writing, is also undeciphered and uncannily similar to the Mohenjodaro script. Was Easter Island an air base for the Rama Empire’s Vimana route ? The Vedas, ancient Hindu poems, thought to be the oldest of all the Indian texts, describe Vimanas of various shapes and sizes : the ahnihotra vimana with two engines, the elephant-vimana with more engines, and other types named after the kingfisher, ibis and other animals. Unfortunately, Vimanas, like most scientific discoveries, were ultimately used for war. 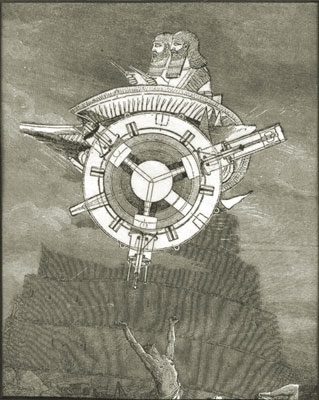 Atlanteans used their flying machines, Vailixi, a similar type of aircraft, to literally try and subjugate the world, if Indian texts are to be believed. The Atlanteans, known as “Asvins” in the Indian writings, were apparently even more advanced technologically than the Indians, and certainly of a more war-like temperament. My previous article in The Canadian , in which I reflected upon my book Worlds Before Our Own, provoked dozens of inquiries from readers. LINK Some stated that one of the cable channels — some thought it was the History Channel; others, Discovery; still others, National Geographic — had presented “proof” that the “fused green glass” to be found in various areas had been created by meteoric air blasts rather than prehistoric nuclear wars. While patches of “fused green glass” may in certain instances have been caused by air blasts from meteors, I wonder if such a natural phenomenon could have created all twenty-eight fields of blackened and shattered stones that cover as many as 7000 miles each in western Arabia. The stones are densely grouped, as if they might be the remains of cities, sharp-edged, and burned black. Experts have decreed that they are not volcanic in origin, but appear to date from the period when Arabia was thought to be a lush and fruitful land that suddenly became scorched into an instant desert. What we know today as the Sahara Desert was once a tropical region of heavy vegetation, abundant rainfall, and several large rivers. Scientists have discovered areas of the desert in which soils which once knew the cultivated influence of plow and farmer are now covered by a thin layer of sand. Researchers have also found an enormous reservoir of water below the parched desert area. The source of such a large deposit of water could only have been the heavy rains from the period of time before a fiery devastation consumed the lush vegetation of the area. On December 25, 2007, it was confirmed by a French scientist that excavations at the area of Khamis Bani Sa’ad in Tehema district of Hodeidah province have yielded over a thousand rare archaeological pieces dating back to 300,000 B.C.E. Before a dramatic climate change, the inhabitants at that time had been fishermen and had domesticated a number of animals no longer to be found in the region, including a species of horse currently found only in Middle Asia. The Red Chinese have conducted atomic tests near Lob Nor Lake in the Gobi Desert, which have left large patches of the area covered with vitreous sand. But the Gobi has a number of other areas of glassy sand which have been known for thousands of years. Albion W. Hart, one of the first engineers to graduate from Massachusetts Institute of Technology, was assigned a project in the interior of Africa. While he and his men were traveling to an almost inaccessible region, they had first to cross a great expanse of desert. At the time, he was puzzled and quite unable to explain a large area of greenish glass which covered the sands as far as he could see. In 1947, in the Euphrates valley of southern Iraq, where certain traditions place the Garden of Eden and where the ancient inhabitants of Sumer encountered the man-god Ea, exploratory digging unearthed a layer of fused, green glass. Archaeologists could not restrain themselves from noting the resemblance that the several-thousand-year-old fused glass bore to the desert floor at White Sands, New Mexico, after the first nuclear blasts in modem times had melted sand and rock. In the United States, the Mohave Desert has large circular or polygonal areas that are coated with a hard substance very much like opaque glass. While exploring Death Valley in 1850, William Walker claimed to have come upon the ruins of an ancient city. An end of the large building within the rubble had had its stones melted and vitrified. Walker went on to state that the entire region between the Gila and St. John rivers was spotted with ruins. In each of the ancient settlements he had found evidence that they had been burned out by fire intense enough to have liquefied rock. Paving blocks and stone houses had been split with huge cracks, as if seared by some gigantic cleaver of fire. Perhaps even more than the large areas of fused green glass, I am intrigued by the evidence of vitrified cities and forts, such as those discovered by Walker. There are ancient hill forts and towers in Scotland, Ireland, and England in which the stoneworks have become calcined because of the great heat that had been applied. There is no way that lightning could have caused such effects. Catal Huyukin in north-central Turkey, thought to be one of the oldest cities in the world, appears, according to archaeological evidence, to have been fully civilized and then, suddenly, to have died out. Archaeologists were astonished to find thick layers of burned brick at one of the levels, called VIa. The blocks had been fused together by such intense heat that the effects had penetrated to a depth more than a meter below the level of the floors, where it carbonized the earth, the skeletal remains of the dead, and the burial gifts that had been interred with them. All bacterial decay had been halted by the tremendous heat. When a large ziggurat in Babylonia was excavated, it presented the appearance of having been struck by a terrible fire that had split it down to its foundation. In other parts of the ruins, large sections of brickwork had been scorched into a vitrified state. Several masses of brickwork had been rendered into a completely molten state. Even large boulders found near the ruins had been vitrified. The royal buildings at the north Syrian site known as Alalakh or Atchana had been so completely burned that the very core of the thick walls were filled with bright red, crumbling mud-bricks. The mud and lime wall plaster had been vitrified, and basalt wall slabs had, in some areas, actually melted. Between India’s Ganges River and the Rajmahal Hills are scorched ruins which contain large masses of stone that have been fused and hollowed. Certain travelers who have ventured to the heart of the Indian forests have reported ruins of cities in which the walls have become huge slabs of crystal, due to some intense heat. The ruins of the Seven Cities, located near the equator in the Province of Piaui, Brazil, appear to be the scene of a monstrous chaos. Since no geological explanation has yet been construed to fit the evidence before the archaeologists, certain of those who have investigated the site have said that the manner in which the stones have been dried out, destroyed, and melted provokes images of Sodom and Gomorrah. French researchers discovered the evidence of prehistoric spontaneous nuclear reaction at the Oklo mine, Pierrelatte, in Gabon, Africa. Scientists found that the ore of this mine contained abnormally low proportions of U235 such as found only in depleted uranium fuel taken from atomic reactors. According to those who examined the mine, the ore also contained four rare elements in forms similar to those found in depleted uranium. Although the modern world did not experience atomic power until the 1940s, there is an astonishing amount of evidence that nuclear effects may have occurred in prehistoric times leaving behind sand melted into glass in certain desert areas, hill forts with vitrified portions of stone walls, of the remains of ancient cities that had been destroyed by what appeared to have been extreme heat-far beyond that which could have been scorched by the torches of primitive armies. In each instance, the trained and experienced archaeologists who encountered such anomalous finds have stressed the point that none of these catastrophes had been caused by volcanoes, by lightning, by crashing comets, or by conflagrations set by humankind. 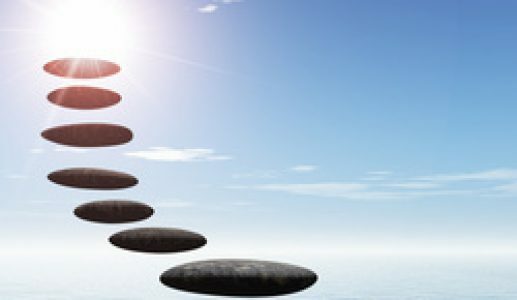 Vedic Cosmology is yet another ancient Vedic science which can be confirmed by modern scientific findings and this is acknowledged by well known scientists and authors, such as Carl Sagan and Count Maurice Maeterlinck, who recognized that the cosmology of the Vedas closely parallels modern scientific findings. 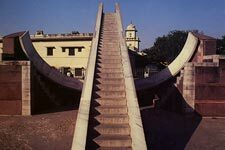 The ninety foot tall astronomical instrument known as Samrat Yantra, built by the learned King Suwai Jai Singh of Jaipur, measures time to within two seconds per day. Cosmology and other scientific accomplishments of ancient India spread to other countries along with mercantile and cultural exchanges. There are almost one hundred references in the Rig Veda alone to the ocean and maritime activity. This is confirmed by Indian historian R. C. Majumdar, who stated that the people of the Indus-Sarasvata Civilization engaged in trade with Sooma and centers of culture in western Asia and Crete. An example of these exchanges is found in the inscriptions on the Heliodorus Column, erected in 113 B.C.E. by Heliodorus, a Greek ambassador to India, and convert to Vaisnavism, as well as the 2nd century B.C.E. Coins of Agathocles, showing images of Krishna and Balaram. These artifacts stand testimony that Sanatan Dharma predates Christianity. This also confirms the link between India and other ancient civilizations such as Greece and shows that there was a continuous exchange of culture, philosophy and scientific knowledge between India & other countries. Indeed the Greeks learned many wonderful things from India. Voltaire, the famous French writer and philosopher) stated that “Pythagoras went to the Ganges to learn geometry.” Abraham Seidenberg, author of the authoritative “History of Mathematics,” credits the Sulba Sutras as inspiring all mathematics of the ancient world from Babylonia to Egypt to Greece. The theorem bearing the name of the Greek mathematician Pythagorus is found in theShatapatha Brahmana as well as the Sulba Sutra, the Indian mathematical treatise, written centuries before Pythagorus was born. 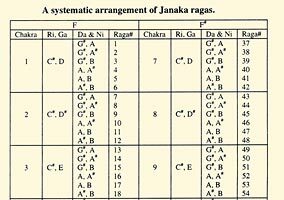 The Decimal system, based on powers of ten, where the remainder is carried over to the next column, first mentioned in the Taittiriya Samhita of the Black Yajurveda. The Introduction of zero as both a numerical value and a place marker. The Binary number system, essential for computers, was used in Vedic verse meters. For further reading we refer you to this excellent article on Vedic Mathematics. It is commonly believed that mantras can carry hidden power which can in turn produce certain effects. The ancient Vedic literatures are full of descriptions of weapons being called by mantra. For example, many weapons were invoked by mantra during the epic Kuruksetra War, wherein the Bhagavad-gita itself was spoken. The ancient deployment of Brahmastra weapons, equivalent to modern day nuclear weapons are described throughout the Vedic literatures. Additionally, mantras carry hidden spiritual power, which can produce significant benefits when chanted properly. Indeed, the Vedas themselves are sound vibrations in literary form and carry a profound message. Spiritual disciplines recommend meditational practices such as silent meditation, silent recitation of mantras and also the verbal repetition of specific mantras out loud. A Clinical Test of the Benefits of Mantra Chanting was performed on three groups of sixty-two subjects, males and females of average age 25. They chanted the Hare Krsna Maha Mantra twenty-five minutes each day under strict clinical supervision. Results showed that regular chanting of the Hare Krsna Maha Mantra reduces Stress and depression and helps reduce bad habits & addictions. These results formed a PhD Thesis at Florida State University. Spiritual practitioners claim many benefits from Mantra Meditation such as increased realization of spiritual wisdom, inner peace and a strong communion with God and the spiritual realm. These effects may be experienced by following the designated spiritual path. Most of the evidence given in this presentation is for the apara vidya or material knowledge of the Vedic literatures. The Vedas however, are more renowned for their para vidya or spiritual knowledge. And even superior is therealized knowledge of the Vedic rsis or saints — that which is beyond the objective knowledge of modern science — knowledge of the eternal realm of sat, cit ananda, eternality, blissfullness and full knowledge. But that is another presentation. 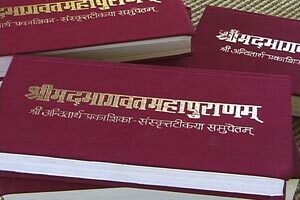 The Vedic literatures contain descriptions of advanced scientific techniques, sometimes even more sophisticated than those used in our modern technological world. Modern metallurgists have not been able to produce iron of comparable quality to the 22 foot high Iron Pillar of Delhi, which is the largest hand forged block of iron from antiquity. This pillar stands at mute testimony to the highly advanced scientific knowledge of metallurgy that was known in ancient India. Cast in approximately the 3rd century B.C., the six and a half ton pillar, over two millennia has resisted all rust and even a direct hit by the artillary of the invading army of Nadir Shah during his sacking of Delhi in 1737. Cataclysmic changes in the Earth’s crust. I find myself now in the seventh decade of life still asking two questions that in one way or another the great majority of my 165 published books have sought to answer: 1.) Who are we as a species? 2.) What is our destiny? The basic reason that I wrote Worlds Before Our Own (G.P. Putnam‘s Sons, 1978; Anomalist Books, 2007) is that I have always found it incredible that such sophisticated people as we judge ourselves to be, do not really know who we are. Archaeologists, anthropologists, and various academicians who play the “origins of Man” game, reluctantly and only occasionally acknowledge instances where unique skeletal and cultural evidence from the prehistoric record suddenly appear long before they should — and in places where they should not. These irritating artifacts destroy the orderly evolutionary line that academia has for so long presented to the public. Consequently, such data have been largely left buried in site reports, forgotten storage rooms, and dusty archives where one suspects that there is a great deal of suppressed, ignored, and misplaced pre-historical cultural evidence that would alter the established interpretations of human origins and provide us with a much clearer definition of what it means to be human. There is now a basic academic consensus that the “homo” lineage goes back at least three million years, and that an ancestor of modern man evolved about one million years ago. Homo Sapiens, the “thinking man,” (our own species), became the dominant planetary life form on a worldwide basis, about 40,000 years ago. It is difficult enough to explain the sudden appearance of Homo Sapiens at that time, but it is an even more complex question to ponder why Neanderthal and Cro-Magnon man correspondingly disappeared. And academic warfare rages unceasingly over whether or not Neanderthal and our ancestors were two separate species or whether they interbred. And just as scientists are adding to a growing body of evidence that humankind developed in Africa, a Hungarian excavation surrenders a Homo Sapiens skull fragment in a context more than 600,000 years out of alignment with the accepted calendar of man’s migrations across the planet. Hominid fossils are unearthed in Dmanisi, Georgia, indicative of 1.77 million years old; and a homind tooth found in Niocene deposits near the Maritsa River in Bulgaria is dated at seven million years old. What happens to Darwinian evolution when there are such sites as the one in Australia, which yielded Homo Sapiens (modern man), Homo erectus (our million-year-old ancestor), and Neanderthal (our Stone Age cousin) in what appears to be a contemporaneous environment? Then there is the Tabun site where Homo Sapiens fragments were found in strata below (which means older than) classic Neanderthal bones. In August 2007, scientists dating fossils found in Kenya challenged the conventional view that Homo Habilis (1.44 million years) and Homo erectus (1.55 million years) evolved one after the other. Dating of new fossil evidence revealed that the two species lived side by side in Africa for almost half a million years. Somewhere, in what would appear to be a biological and cultural free-for-all, there must lie the answer to that most important question: Who are we? But just as we are trying our best to fit skeletal fragments together in a manner that will be found acceptable to what we believe we know about our origins, footprints are being found in stone, which, if they are what they appear to be, will make a total shambles of our accepted evolutionary calendar. In Pershing County, Nevada, a shoe print was found in Triassic limestone, strata indicative of 400 million years, in which the fossilized evidence clearly revealed finely wrought double-stitching in the seams. Early in 1975, Dr. Stanley Rhine of the University of New Mexico announced his discovery of human-like footprints in strata indicative of 40 million years old. A few months before, a similar find was made in Kenton, Oklahoma. At almost the same time, a discovery of a footprint in stone was revealed in north-central Wisconsin. In Death Valley, there is ample fossil and skeletal evidence to indicate that the desolate area was once a tropical Garden of Eden where a race of giants lived and fed themselves with palatable foods taken from the local lakes and forests. To speak of a race of prehistoric giants in what is now the desert sands of Death Valley is simultaneously to refute the doctrine which decrees that man is a relative newcomer to the North and South American continents. While on the one hand, new radiocarbon dates demonstrate that the Bering Land Bridge and Cordilleran Ice Corridor were not passable until 9000 years ago, an increasing amount of physical evidence indicates that man was surely in this hemisphere much earlier than that recent date. For one thing, corn, an American contribution to the dinner tables of the world, is said to be, at 9000 years, our oldest domesticated seed crop. Some agriculturist had to be in the Americas more than 9000 years ago in order to domesticate the seed. Ancient squash seeds, peanuts, and cotton balls dated at 8,500 years old found in Peru’s Nanchoc Valley constitute additional evidence that New World farming was well established. Conclusive proof that such ancient farmers did exist in the Americas was offered when a Humble Oil Company drill brought up Mexican corn pollen that was more than 80,000 years old. The anomalous Indian blood seration and dentition, and the geographic distribution of the American Indian, demands an impossible genetic time scale in which to transform Asiatic immigrants to distinctive New World inhabitants. Even if we attempt to keep some kind of peace with the accepted theories of New World habitation, we must grant more evolution in 40,000 years in North America than that which took place in more than one million years in Europe, Africa, and Asia. Skulls found in California, which are clearly those of American Indians, have been dated at 50,000 years old. But we are left with another mystery. A 140,000 year old American Indian type skull (via metric analysis) has been found at an Iranian excavation site. What of the lost Amerindian civilization of Cahokia, complete with pyramids and a great wall? One site, near the present city of St. Louis, may have contained a metropolis of more than 250,000 North American Indians. And who constructed the mysterious seven-mile walls of the Berkeley and Oakland, California, hills? And which pre-Mayan peoples engineered an elaborate waterworks in Yucatan to irrigate crops over 2000 years ago? The Caracol Tower at Chichen Itza is a remarkable Mesoamerican observatory that seems to have correlated its findings with similar sites in North America, including Mesa Verde, Wichita, and Chaco Canyon. One of the most heretical theories that I suggest in Worlds Before Our Own is that the cradle of civilization might possibly have traveled from the so-called New World to the Old. Now, in December 2007, years after Ruth Shady Solis found the ancient city of Caral, Peru, scientists have accepted the carbon dating of 2,627 B.C.E., thereby establishing the civilization in South America to be much older than the Harappa Valley towns and the pyramids of Egypt. Caral must now be recognized as “the mother of all civilizations,” the missing link of archaeology, the Mother City. Scientific knowledge has seemingly been prized by the inhabitants of every culture, known and unknown. Rock engravings, which may be as old as 60 million years, depict in step-by-step illustrations an entire heart-transplant operation and a Cesarean section. The ancient Egyptians used the equivalent of contraceptive jelly and had urine pregnancy tests. The cement used in filling Mayan dental cavities still holds after 1500 years. No fabric is supposed to have been found until Egypt produced cloth material 5000 years ago. How, then, can we deal with the Russian site which provides spindle whorls and patterned fabric designs more than 80,000 years old? Not only did the ancient Babylonians appear to use sulphur matches, but they had a technology sophisticated enough to employ complex electrochemical battery cells with wiring. There is also evidence of electric batteries and electrolysis in ancient Egypt, India, and Swahililand. Remains of a metal-working factory of over 200 furnaces was found at what is now Medzamor in Russian Armenia. Although a temperature of over 1780 degrees is required to melt platinum, some pre-Incan peoples in Peru were making objects of the metal. Even today the process of extracting aluminium from bauxite is a complicated procedure, but Chou Chu, famous general of the Tsin era (265-316 A.D.), was interred with aluminium belt fasteners on his burial costume. Carved bones, chalk, stones, together with what would appear to be greatly ornamented ”coins,” have been brought up from great depths during well-drilling operations. A strange, imprinted slab was found in a coal mine. The artefact was decorated with diamond-shaped squares with the face of an old man in each ”box.” In another coal-mine discovery, miners found smooth, polished concrete blocks which formed a solid wall. According to one miner’s testimony. he chipped one block open only to find the standard mixture of sand and cement that makes up most typical building blocks of today. A gold necklace was found embedded in a lump of coal. A metal spike was discovered in a silver mine in Peru. An iron implement was found in a Scottish coal-bed. Estimated to be millions of years older than man is believed to have existed. A metal, bell-shaped vessel, inlaid with a silver floral design was blasted out of solid rock near Dorchester, Massachusetts. Two hypotheses may explain the presence of these perplexing artifacts: 1) that they were manufactured by an advanced civilization on Earth which, due either to natural or technological catastrophe, was destroyed before our world’s own genesis; 2) that they are vestiges of a highly technological civilization of extraterrestrial origin, which visited this planet millions of years ago, leaving behind various artifacts. Even if a highly advanced extraterrestrial race might have visited this planet in prehistoric times, it seems unlikely such common, everyday items as nails, necklaces, buckles and vases would have been carried aboard a spacecraft deposited in such widely separated areas; for such artifacts have been found in North and South America, Great Britain, the whole of Europe, Africa, Asia, and the Mid-East. In spite of the general unpopularity of catastrophism, there does seem to be a number of recently discovered “proofs” of ancient cataclysmic changes in the Earth’s crust which may account for the nearly total disappearance of these prehistoric worlds. Geological evidence indicates that these changes were both sudden and drastic might have completely overwhelmed and destroyed the early inhabitants and their cultures. Perhaps the most potentially mind-boggling evidence of an advanced prehistoric technology that might have blown its parent-culture away is to be found in those sites which ostensibly bear mute evidence of prehistoric nuclear warfare. Large areas of fused green glass and vitrified cities have been found deep in the strata of archaeological digs at Pierrelatte in Gabon, Africa; the Euphrates Valley; the Sahara Desert; the Gobi Desert; Iraq; the Mojave Desert; Scotland; the Old and Middle Kingdoms of Egypt; and south-central Turkey. In contemporary times, such material as fused green glass has only been known at nuclear testing sites (where the sand had melted to form the substance). It is quite unsettling to some to consider it possible that these sites provide evidence of a prehistoric nuclear war. At the same time, scientists have found a number of uranium deposits that appear to have been mined or depleted in antiquity. If it is possible that nuclear annihilation of a global civilization did occur in prehistoric times, it seems even more urgent to learn who we really are before we find ourselves doomed to repeat the lessons left to us, by a world before our own. For the past three decades miners at the Wonderstone Silver Mine near Ottosdal in the Western Transvaal, South Africa, have been extracting out of deep rock several strange metallic spheroids. So far at least 200 have been found. In 1979, several were closely examined by J.R. McIver, professor of geology at the University of Witwaterstand in Johannesburg, and geologist professor Andries Bisschoff of Potsshefstroom University. The metallic spheroids look like flattened globes, averaging 1 to 4 inches in diameter, and their exteriors usually are colored steel blue with a reddish reflection, and embedded in the metal are tiny flecks of white fibers. They are made of a nickel-steel alloy which does not occur naturally, and is of a composition that rules them out, being of meteoric origin. Some have only a thin shell about a quarter of an inch thick, and when broken open are found filled with a strange spongy material that disintegrated into dust on contact with the air. What makes all this very remarkable is that the spheroids were mined out of a layer of pyrophyllite rock, dated both geologically and by the various radio-isotope dating techniques as being at least 2.8 to 3 billion years old. Adding mystery to mystery, Roelf Marx, curator of the South African Klerksdorp Museum, has discovered that the spheroid he has on exhibit slowly rotates on its axis by its own power, while locked in its display case and free of outside vibrations. There may thus be an energy extant within these spheroids still operating after three eons of time. A well-researched hypothesis regarding Vedic India around Mahabharata War is presented in couple of books recently published by author Krishna Udayshankar, under the series Aryavarta Chronicles. She touches upon the five great lines of dynastic evolution and at length about two : Firewrights and Firstborns. The former descend from Agni Angiras, in which all great inventors and innovators arise from time to time to equip humanity with a whole range of science and technology to enable and ease, farm and illuminate, construct and transport, mine and irrigate, forge and create, weave and weaponise. However, after millenia of such developments, almost magically empowering in the eye of the rest of mankind, the series inevitably reduced to applications concentrated in weapon-making, potions for targeted killing and psychological disorientation, power for mass destruction, mastery on earth and in air, and such immense multipliers. In time, even while the economy exploded and wealth concentrated with few, most of these weaponry skills went on sale to higher bidders among kings and chiefs aspiring to positions with greater overlordship and bigger dominions. That manifest drive for greed and power at multiple centres in the Indian subcontinent, from about 3500 BC, was a departure from the Sanatan values and way of life laid out by the Firstborns. Even before the developments culminated in the Great War, about 3100 BC, in which an estimated 1.66 billion people died over 18-day period [Mahabharata, Book 11 (Stri Parva), Chapter 26, Verses 9 &10] … it is hypothesised, the Firstborn scion Sage Parasher had begun a massive and concerted program to destroy the Firewrights, one and all, systematically with no-holds barred. That pogrom was continued with unabated enthusiasm by his son, Krishna Dvaipayana — the Great Vyasa, who however also set in place an effective organisation to catalogue, encode and record all knowledge then available, even those with the Firewrights. It is conjectured, the Firewrights were wiped out before the War broke out and their weapons expended and amazing technological creations destroyed during the 18-day strife : the land laid waste and cities deserted. One can imagine … a civilisational start from scratch, practically. The Erudite Activist. Endearing Anarchist. Mindful Of The Laws Of Thermodynamics ! Rahul Banerjee is an alumnus of my alma mater. He lives the rational life and his work has almost entirely been in causes that are upper-most in my heart – among the marginalised and the oppressed. You may know more about him from his blog @ http://anar-kali.blogspot.in/ and of his sight on diverse current issues from his page @ https://www.facebook.com/rahul.banerjee.146?fref=ts . ” One could be a tribal sympathiser, critical of Capitalism (not liberal democracy, mind you, which unfortunately has come to be associated with capitalism) and its rapacious destruction of the environment and society, especially that of the tribals, but sympathising with the poor and being critical of those who exploit and oppress them does not mean being sympathetic to the Maoists. “There are farmers who have become millionnaires in indore too, and in the vicinity of most cities, but these are still few in number compared to the total number of farmers in and around these cities. The statement holds good for India entire, where farming has become a loss making profession. Even America, which has become 95% urban by looting the whole world, will find it impossible to survive if it stops doing so. Its a zero sum game – urban prosperity for a few is built on misery for the many across the world. It’s an unpalatable truth that cannot be wished away by resorting to sophistry. Gurgaon is sinking under its own load and the day is not far when it will collapse !! “We are going over the same ground again and again. The zero sum game is a very correct depiction of the natural world because it is based on the first and second laws of thermodynamics. I would advise you to do a deep study of those before suggesting me to read more sophistry based on neo-classical economics, which itself is based on unscientific assumptions. Simon’s book is dated and current exorbitantly rising prices of metals in particular, and commodities and food in general, have taken the bottom out of his reasoning. Anyway there is no point in continuing this debate because it is endless. We can debate with each other endlessly without agreeing, but we cannot do so with nature. The time is not far when nature will hit back with a vengeance… The present selfish mode of development is going to lead to disaster then there will be a reversion to communitarian, unselfish and egalitarian modes. If not, we will all perish !! “Not just tribal rights but tribal self-rule of a new kind, in which there is equality and justice for women; because the traditional tribal societies are highly patriarchal. Regarding Maoists, the best thing to do is to ignore them altogether. Their locus and modus operandi ensures they will remain peripheral to both the tribal and the country’s future. It is the Indian State, which continually mismanages its responses, that has led to the Maoists being able to do what they are doing. “To understand this one will have to digress first a bit. Madhusree Mukerjee has written an excellent book called “Churchill’s Secret War”, in which she details on the basis of original historiography how the British Government, led by Churchill, deliberately caused the Great Bengal Famine of 1943 in which, according to conservative estimates, 3 million people were killed. Movement was announced on 9th August 1942, the Gandhians in south Bengal region of Tamluk, led by Matangini Hazra, came out onto the streets in large numbers. The British response was to fire on them. Hazra and others died; many were arrested. Those who escaped their fate felt that there was only one way to respond to the British : set aside non-violent methods and take to an underground armed struggle. “But the only way they could, with their rudimentary arms, was to fight a guerrilla war while ensuring that their movements were not reported to the British. So they conducted a hugely efficient programme of annihilating all the informers. So efficient was this programme that not only were all the informers eliminated but a pervasive fear was created among the people. Effectively, all information flow to the British stopped and the Tamralipta Jatiya Sarkar or Tamralipta “national government” was able to rule over their small region for three years. It was only after Gandhi came out of jail and admonished them for what they had done that they gave up their armed struggle and surrendered to the police in 1946.
must eliminate all informers, present and potential. And this is what the Maoists have done very efficiently in rural areas; there is little information flow to the Indian State about their local movements. It is inconceivable that, in the recent attack, 200 heavily armed Maoists could have gathered in the Darbha Ghati just 30 kilometers from Jagdalpur without the local people knowing about it. But such is the fear of reprisal on informers by the Maoists that no information of this build up leaked to the police. All they had was an alert from the Centre that Maoist cadre were collecting in Bastar in large numbers for a strike, but nothing about where exactly this was to be executed. Saddled with this information blindness, the team that went to Sukma failed to follow Standard Operating Procedures yet again and came back along the same route, all in one group, and got annihilated. One is left wondering whether the security establishment dealing with the Maoists is a professional institution or a bunch of fools. “That the Maoists do not have an urban connection is a myth. Many politbureau members like Kobad Gandhi have been arrested from urban areas and are now in jail. It is impossible in the present day to conduct an armed struggle in a remote rural area without urban support of various kinds. There is an active urban network of the Maoists that secretly works to provide them with arms and ammunitions, funds, and technical and medical support. While the State may find it difficult to get informers in the rural areas, it is not so in urban areas where the population is too vast and the Maoists operate too secretly for them to be able to eliminate all informers. The State, in its efforts to curtail the Maoists, will obviously crackdown on their urban support lines and in this it has gained considerable success even if tailors, merchants and doctors like Binayak Sen have had to suffer in the process. “I repeat, the conflict between the State and the Maoists is none of our concern; but for the tribals who die in it, due to operations from both sides, are. We should condemn the murder of tribals regardless of whether it is the State or the Maoists who are killing them, even if it is that of a killer like Mahendra Karma. We should leave both parties to their shenanigans and concentrate on our own struggles. “I had asked you to study the laws of thermodynamics and not Georgescu Rogen’s suspect attempt at conflating thermodynamics with economics, which has been rightly critiqued by many. That is why I did not mention his name or the later Marxist extensions of his theories or give links to the voluminous literature along these lines. I will now try to show from first principles, in a simple way, that a lay person can also understand how an “anarchist” interpretation can be done of these laws !! “The first law says that energy is conserved and, due to the fact that energy and matter are interchangeable, matter too is conserved. So the total energy (including matter) in a closed system like the earth is constant and cannot be increased or decreased. Actually, the earth is an open system because meteorites crash into it from time to time, delivering matter, and the sun continually pumps energy into it; but the meteorite contribution is minimal and the sun’s energy is difficult to convert usefully, for machines to do our work. “Therefore, if one form of energy or matter, especially non renewable energy or matter source, is depleted then it will be converted into another form, limiting the possibilities of its use in future. If soils are exhausted of their natural nutrients and, after some time, artificial nutrients are also exhausted, then it will not be possible to grow food anymore. Similarly, if fresh water sources are exhausted, we will face a more serious crisis. This can be extended to innumerable more examples that are today creating serious problems of sustainability. “Theoretically, it is possible to convert any form of matter into any other form; there is substitutability potential for energy from matter. But, in practice, this is difficult and requires huge centralised systems which, even if invented, may create their own unforeseen problems. This is why, for all practical purposes, life on earth is a zero sum game. “Now coming to the more difficult second law : any form of work converts some amount of energy expended into heat energy, which dissipates into the environment increasing disorder due to the increase in temperature within a closed system. “Fortunately, the earth is not a closed system; it can release the added energy into space. Also, through photo synthesis, plants continually convert solar energy into bound energy we have in wood and food they sythesise. Animals eat this bound energy and do work, producing heat energy in the process. Some of these plant and animal remains have been transformed into fossil fuels, which too have bound energy. However, when we burn these fuels, their energy becomes unbound and contribute heat to the environment. “Normally, due to the fact that the earth is an open system, the exponentially increasing production of heat energy would not have been a problem because it is miniscule compared to the solar energy added to the earth’s biosphere. But now, due to the increasing concentration of green house gases, especially carbon dioxide, we are slowly converting the earth into a closed system. The pathways to dissipation of heat into space is getting increasingly choked. Simultaneously, we are decimating plant life that convert unbound energy into bound energy. Climate change is a serious reality because of the twin factors we have just described. “We all must pause and seriously ponder over this transition of earth from being an open system it was to being a closed system it is now turning into. The world is experiencing a dangerous rise in temperatures on account of non-dissipation of heat we are adding to our biosphere. Yes, what I am saying is that there is a serious problem and not that there is no solution to it. Since the solution is not yet known, many people are working on it. “As an anarchist, I feel the solution is in moderating our consumption. Mindful use of matter and energy would regulate the rate of our approach to ecological catastrophy. Ever since the neolithic revolution ten thousand years ago, humans have continually increased their exploitation of nature and it has now reached a crescendo. We need to have a relook at what we are doing. I may be wrong but that is my preference. It is still possible to have a high level of development with environmentally clean technologies, if implemented in a decentralised and egalitarian manner. Partake of it with moderation. Who do these riches belong to ! First, it needs to be recalled that anthropological research has established Paleolithic continuity, starting 60,000 BC, with the help of DNA dating. Genome studies during the Holocene, from 12,000 years ago to the present, have revealed that the genetic profile of humans settled in north, south, east and west of India is the same and has remained the same for the last more than 11,000 years. Therefore, contrary to the belief popularised by Western scholars, Dravidians and North-Indians have common ancestors and both are indigenous to the Indian sub-continent. This interesting revelation was made by Dr VR Rao, Professor of Anthropology, Delhi University, while presenting his paper at the national seminar on “Scientific Dating Of Ancient Events Before 2000 BC”. The seminar was held in New Delhi on 30th and 31st July, 2011. It was attended by about 400 people including Sanskrit scholars and astronomers, archaeologists and geologists, ecologists and anthropologists, oceanographers and space scientists, bureaucrats and academicians, as well as other persons from the public and the media who took deep interest in the deliberations of this otherwise highly technical event organised by the Delhi chapter of I-SERVE [ Institute of Scientific Research on Vedas]. One, to highlight the fact that new applications of scientific inventions and tools can determine the authenticity and historicity of ancient events, without recourse to religious beliefs or linguistic guesswork. Such scientific dating is not only credible and convincing but is also likely to push back the antiquity of Vedic civilisation by 4-5 millenia, giving all Indians a shared pride in our rich cultural heritage and its unbroken continuity. 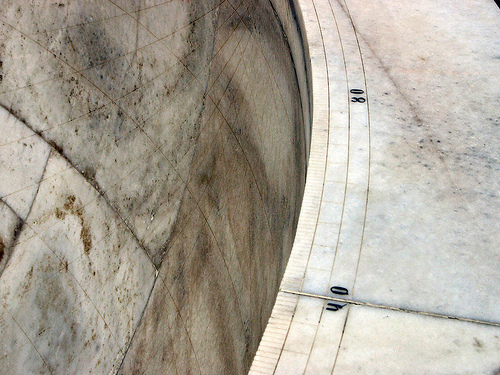 Two, to integrate the authenticated information contained in latest research reports of our eminent scientists, available with the Ministries of Science and Technology and of Earth Sciences, with the contents of our school and college books to enable the young minds to appreciate our history, reconstructed purely on scientific basis. According to Ms Saroj Bala the key findings of the seminar have the potential of uniting all Indians and raising their self esteem by giving them shared pride in their ancient-most and rich cultural heritage. There is now scientific evidence to establish that indigenous civilisation has been developing and flourishing in India for last 10,000 years and that some of our ancestors moved out of the sub-continent and shared their way of life with people elsewhere. It was F E Pargiter, who introduced the notion of a Synchronism in Indian Historiography, in one of the first such works to appear in a European language, which lent credulity to the Puranic texts, he was the first to analyse them in detail and publish his findings in a book. Even so, Pargiter had fallen prey to the propensities of the colonial mindset, the right to tamper with data instead of reporting on it in a dispassionate manner. In doing so he follows the pattern of British Indian civil servants who, with literally dozens of domestic servants to relieve them of daily chores and a security enabled through sumptuous salaries at the cost of the impoverished Indian, were able to indulge in the favorite pastime of re-writing and re-interpreting Indian History in a form more palatable to the European audience. Pargiter exhibits a degree of adherence to the evidence not evident in most other writers from the Occident. However, despite his scholarship, the constant contact with Indians who were mostly in a subordinate role and generally obsequious in their behavior to most Occidentals, had taken its toll on his objectivity and there is palpable condescension in the narrative that he spins and, like other English historians, he does not seem to have sought the opinion and review of Indic pundits. The concern about synchronism was a natural one and stemmed from the need for understanding the relationship between various overlapping dynasties that spanned a millennial time frame. Hailing as they did from a small island, they were not used to seeing the sheer plethora of dynastic families that ruled over the different parts of the subcontinent during the millennia. More importantly, the tendency to disbelieve any dates or absolute chronology was so strong that they were looking for external synchronisms, especially with respect to an Occidental one that their world could relate to. The difficulty was that there was not much of a civilisation in the Occident in the millennia prior to 1000 BCE, with the exception of countries surrounding the eastern Mediterranean. As a result, there is no record that is accessible to us, even of travelers from Greece or Babylon, during the time frame in question. This is not to say that absence of evidence is evidence of absence. It is just that more work needs to be done to see if there were other travelers to India during the time period under consideration. It is the name of a Hindi Movie meaning : The Death Of A Doctor. “On 11th april, 2013, when I heard a news about the death of the great British physiologist Sir Robert Geoffrey Edwards, a pioneer in ‘In-vitro fertilisation (IVF)’, which led to the birth of the first test-tube baby, I became suddenly sad. The media all over the world was covering his death. No doubt he was a great physiologist : he was awarded the 2010 Nobel Prize in Physiology or Medicine for the development of in vitro fertilization. Dr. Subhash Mukhopadhyay was born on January 16, 1931 in Hazaribagh, now in Jharkhand. He graduated in 1955 with an honours degree in physiology and later, in 1958, earned a doctorate in reproductive physiology. In 1967, Dr Mukhopadhya obtained a second doctorate from the University of Edinburgh in reproductive endocrinology. Kanupriya Agarwal aka Durga, the first test tube baby of India, was brought to life by Dr Subhas Mukhopadhyay on October 3, 1978, just 67 days after the world’s first test-tube baby, Marie Louise Brown, was born. In their procedure, Dr Edwards had collected the ovum by using a laproscope. But Dr. Mukhopadhyay did not; instead, he increased the number of ovum collected by using a hormone, to enhance the probability of fertilisation. But the country failed Dr Mukhopadhya. In November 1978, an ‘expert committee’ was appointed by the Government of West Bengal under the State medical association to decide over the fate of a “convict” named Dr. Subhas Mukhopahyay. None of committee members had a clue about modern reproductive technology; none had ever seen an embryos in their lifetime. Dr Mukhopadhya was charged for having claimed that he was the architect of a human test tube baby named Durga. The great Doctor denounced the Committee’s report in the media. He had made the impossible possible with few general apparatus and a refrigerator, in his small Southern Avenue flat. He never bowed before the bureaucracy and his straightforwardness always evoked jealousy among his peers. Thanks to inimical peers and disinterested bureaucrats, he suffered the punishment of being transferred to ophthalmic department, which sealed his prospect to work on hormones. Facing social ostracization, bureaucratic negligence, reprimand and insult from the State government, and refusal of Government of India to allow him to attend international conferences, Dr Mukhpadhyay remained in a state of shocked and depression and finally committed suicide on June 19, 1981. ” Termite – in the form of corruption, ignorance, and arrogance of our bureaucrats and politicians – mercilessly finished one more ‘treasure of India’. ” I want to pay a tribute to him by sharing his triumph with you and also I want to share my sadness for the ‘Indian Peaple’ that lost ‘A Great Visionary in the field of Medical Science’. There has been many a saga in the history of mankind that has captured the imagination of generations of humanity. In our millennium we speak of adventures of Marco Polo, Columbus’ discovery of the shores of America, Amundsen’s expedition to the North Pole, Vasco da Gama reaching the shores of Bharata and many more. All these look dramatic and fascinating when we realise they were undertaken more with courage and determination than in the security of reliable information. Yet they succeeded in obtaining for posterity enormous benefits in terms of the perspective about the world that we lived in. One such saga of recent times is the quest for river Sarasvati. Looking back, we see the formidable obstacles that one faced in trying to investigate the history of a river that was non-existent and believed to be a myth : Was there was a real physical river called Sarasvati or was it just a myth, a poetic creation of the Aryans ? If such a river existed where did it flow ? How are we to trace its source, course and termination ? If it did exist : why, how and when did the river disappear ? If it was an ancient river with claims as the cradle of an ancient civilization, is there any archaeological evidence of the its banks ? Added to the confusion was the reverential and emotive association Bharatiyas had with the River Sarasvati, that made them identify every other river, big or small, with the divine river Sarasvati itself. They still have the same inclusive approach and attitude towards the rive Ganga. Thus the Haradvati that flows in the north-west region was also Sarasvati. It was the third (invisble) river at Sangam, the confluence of Ganaga and Yamuna at Prayag. A branch of Ganga near Calcutta, a river flowing from Abu to Khambayat in Gujarat, the river that joins the ocean at the Prabhasa Kshetra … all are called Sarasvati. Under such a condition, in the hostile atmosphere of the world of historians monopolised by western scholars who were bent upon proving that the existence of river Sarasvati was a myth, that all literary evidence were figments of imagination and who, demanding material evidence for proof, declared that the quest and the search for it was an exercise in futility, there were bravehearts who proceeded undeterred. The “Quest For River Sarasvati” scholars came together under the banner of Bharatiya Itihasa Sankalana Samiti. Yes, we call them brave because they staked their international academic reputation to chase a myth and to prove that the seeming mirage was in fact a reality. The academic world scoffed at them and laughed at the venture. Well, it did last for more than a decade. Most of them are no longer with us now to celebrate the fruition of their foundational quest. This post is to honour and pay homage to them. Our deepest appreciation and gratitude goes to pioneer Sri Sridhara Vaman Wakanker and his team Sarasvati Samshodhana Mandal. At the same time we recall that the quest for river Sarasvati has a long history, spanning nearly two centuries. All scholars and lovers of Bharata and its heritage fell under the spell of this mysterious river Sarasvati, after going through the vast Vedic literature. They did their best to verify the physical existence of the river with tools then available. The voluntary attempts of Oldham (1893), Wadia (1938), Amal Ghosh(1960), H.S. Parikh (1965), WilHelmi (1969), Alwin, Goudse, and Dr. Hegde(1978) merit our scholarly attention. Extensive studies to survey the invisible course of Sarasvati in 1942 by Gen Cunningham, Arthur A. Macdonnel, A.B. Keith and Aurel Stein were well publicized. In 1963, Dr Narasimha Narayana Godbole surveyed the route of the Sarasvati in Rajasthan. Dr. M.A. Krishnan gives us in detail the course of the river in his work, Geology of India and Burma, published in 1968. Dr M.N. 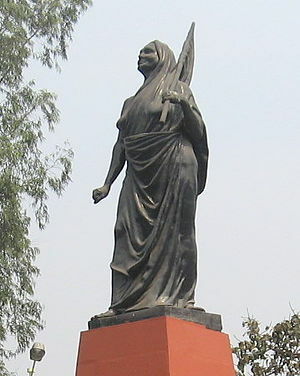 Godbole’s monumental work, Rgvedic Sarasvati, based on geological research throws more light on many of the ticklish problems associated with the quest. The current quest had its origin in 1981, when Babasaheb Apte Smarak Samiti, Nagpur, was celebrating the District History Day at Kurukshetra, in the presence of Sri M.N. Pingale, the Working President of Babasaheb Apte Smarak Samiti, who drew the attention of the audience to the need and relevance of a research work on the lost Vedic river Sarasvati and the possible consequences of that research on the ancient history of Bharata. Dr. Vishnu Sridhar Wakankar, the senior most archaeologist of the country then, explained with great fervor the archaeological importance of the issue. Immediately there was a vociferous demand from the audience for setting up of a Samiti for such a “Quest.” Thus, the All India Project of Sarasvati Shodhan was born. It took nearly four years to investigate, consolidate, plan and recruit eminent scholars to form a team to launch the Sarasvati Shodhan project. It was termed as Quest Mandal Expedition and was inaugurated on Tuesday, the 19th Nov. 1985 by the steersman of the Quest, Sri M.N. Pingale. The Quest Mandal headed by Padmashri Dr. V.S. Wakankar, with a team of scholars belonging to all branches of knowledge, set out for Adi Badri in Himachal Pradesh, the presumed source of river Sarasvati. Points of fact were jotted down meticulously as and when they emerged during the visits. Photographs were taken wherever they were considered relevant. Audio tapes, about 19, were effectively put to use to collect more important information related to the river. The notes thus prepared covered a wide canvas including literary sources, art, history, poetry, archaeological remains, oral observations, traditional references, etc. The Quest team also recorded age-old stories and songs which were full of reverential references to the Sarasvati River from the Charans who reside in Palloo, Bikaner and Karani Devi of Rajasthan. The Charans, as is well known, make their living by singing folk-songs with stories of past heroes and legends. The Quest got a fortunate filip when the team was provided with clinching evidence about the dried-up river Sarasvati. The Arid Zone Research Institute gave authentic data that literally broke through the great haze of obstruction holding up the quest. A NASA satellite launched in 1972 had taken pictures of a dried-up huge river which ran from the Himalayas to the Rann of Kachchh. The images had been analysed by many scientists associated with scientific institutions of India but none had recognised its historic worth. The compiled information handed over by Dr. Agarwal consisted of studies done on this dried-up river bed by Bimal Ghose et al. (1979), Ramasamy, Bakliwal and Verma (1991), Yash Pal et al. (1980). The accurate scientific data regarding the course of the river and the time when it went dry gave a powerful impetus to the Quest. The images sent by LandSat disclosed the following : The width of the Ghaggar Sarasvati bed was on an average between 6 and 8 km from its entry in Punjab to present-day Marot in Pakistan; the course of Markanda River got diverted to north-east of Kshatrana and even today the river Sarasvati flows through this route during rainy seasons; the dried-up Y-2 route indicated the width of the present day Choutang River and its confluence with Ghaggar near Suratgarh. through the plains and regions close to Sindhusagar. But the search route as indicated by the LandSat was a stupendous, as the dried-up bed was expansive. Dr. Wakankar studied the dried-up bed of Sarasvati with his fellow researchers from archaeological point of view. He was thus able to concentrate their month-long quest only on select spots. The Quest team went though Adi Badri, Ambala District, where the Sarasvati slides into the plains after crossing the mountainous area through Kanthghar, and then to the Shivalik mountain ranges starting from Jagadhari(Yugandhara), beyond which stands the mountain Manu, where the Sarasvati, icy and hidden, flows as an undercurrent through the cracks, crevices and cleavages of the mountains. The team also visited YamunaNagar, Sarasvata Nagar (Mustafabad), and then on to Kurukshetra where the seed of the whole quest had been sown. At Kurukshetra, under the guidance of Pandit Sthanudatta Sharma, the team went to the actual site of the river Sarasvati in the celebrated city. Remnants and reports related to the site gave the team enough information, motivating them to study in depth the city of Kurukshetra in the context of the course of the lost river. Stone implements of the Prehistoric period were collected in a large quantities from all places visited by the team : painted mud-pots of pre-Harappan period, which are also available in the valleys of Sarasvati (Ghaggar) and Drshadvati (Choutang) at Bhagvanpur, Banavali, Sirisha, Mitthal, Raja Karn ka Keela, Doulatpur, Mirjapur, Sudha, Balu, Kudal, Agroha and nearby places. The team also did a close study of 20 to 30 metres long sand-dunes of Bikaner. In Gujarat, the team visited Ambaji mountains, where Bhel trees are in abundance, and then on to Koteshvar where one stream of the Sarasvati flows underneath. The river, after playing hide and seek, finally emerges on the surface at Siddapur to meet the Nala Sarovar. This mountain range, part of Ambaji, is known as Mainaka, the source of Gurjar Sarasvati. Kunwar, on the banks of Nanuran (Nanukaccha), where the Sarasvati enters the ocean in sevenfolds (saptadha), was the next destination of study. Now Nanu is a sandy desert. Near one of the seven streams, Dr. V.S. Wakankar found pieces of an egg of a Shakha Mrga that helped him to conclude the period of Kunwar could be at least 25-50 thousand years BC. Later, the team came across an old ocean coast harbour called Lothal, which was an ancient city of Nanukaccha. A dockyard specially meant for repair of ships was discovered there. Now there has been an in depth study of Lothal showing the maritime capabilities of our ancestors. Travelling eastward, on the banks of the Gurjar Sarasvati of ancient times, the team came to the vicinity of the holy Somnath mandir at the junction of rivers Gautami, Hiranmayi and Sarasvati. Thus, the Quest pilgrimage covering a distance of about 4000 km came to an end. Curiously, this Quest did not come up with just a report on the course, date and the civilization that prospered on the banks of the fabled river, as it happens with almost all historical expeditions. It also indicated the possible sites on the banks of Sarasvati for archaeological excavation, the study of which would meet the challenge of proving whether this water mass, which was still flowing underground in most of the places, was really the same river that had its source in Himalayan glaciers. That seeming impossibility evoked worldwide interest. Many teams of scientists came and did their own investigations and confirmed the existence of the river Sarasvati, proving that most of the narrative history of Bharat, be it folk or of the Vedas, was factual. The spin-off of this information was the opening of another avenue which has never been the forte of history : to resurrect the lost river and bring the hidden Gupta Gamini Sarasvati onto the surface ! That was the task taken up, again, by the Akhil Bharatiya Itihasa Sankalana Yojana under the title Sarasvati Nadi Shodh Prakalpa. The Prakalpa is now engaged in enabling the waters of Sarasvati flow once again along its course, so that millions of hectares of parched land of this blessed country can become green and give life to over 200 million people. It also provides strength to the devout and vindicates their faith when he and she take a holy dip in their sacred river Sarasvati. The Prakalpa plans to create National Water Grid in order to reach the Brahmaputra flood waters to Kanyakumari, making every river south of Vidhyas in India a perennial one (jeevanadi) and potentially adding 90 million acres of additional wetland, and enabling four-crop cultivation with availability of water round the year. This revolution would empower rural India consisting of more than half a million villages. The revival of river Sarasvati is proceeding apace, as part of the National Water Grid : inter-linking of rivers, master plan drawn by National Water Development Agency. The waters of Manasarovar flowing through rivers Sutlej and Beas have already been brought to the Rajasthan Nahar (called Sarasvati Mahanadi Roop Nahar). The Sarasvati Nahar waters have now reached up to Gadhra Road in Barmer District, after traversing a distance of about 1000 km. Another 150 km extension of this Nahar will ensure that Sarasvati River waters will reach Rann of Kachchh and Gujarat. It’s a miracle of gigantic proportion, my dear reader ! Especially when you consider that the desert of Rajasthan was threatening to extend up to Haryana and even Delhi, the capital city, barely a couple decades before. The promised second part of “Proto Indo-Euopean Study,” covering Linguistic Dialectology, is coming… But there is something that is simply inexplicable and astonishing to the extreme ! A discovery by Bashkir scientists contradicts all traditional notions of human history : stone slabs, 120 million years old and covered with 3-D relief map of the Ural Region. At first sight, I understood that it was not a simple stone piece but a real map, and not a simple map but three-dimensionsal. You can see it yourself. At first, we could not imagine the map was so ancient. Happily, relief of today’s Bashkiria has not changed so much within millions of years. We could identify Ufa Height while Ufa Canyon is the main point of our proofs, because we carried out geological studies and found its track, as it ought to be according to the ancient map. Displacement of the canyon happened because of tectonic stabs, which moved from East. The group of Russian and Chinese specialists in the field of cartography, physics, mathematics, geology, chemistry, and Old Chinese language, concluded that the stab contains the precise map of Ural region with rivers Belya, Ufimka and Sutolka. Alexandr Chuvyrov says, you can see the river lines and the Ufa Canyon – the break of the earth’s crust stretched out from the city of Ufa to the city of Sterlitimak. At the moment, Urshak River runs over the Ufa canyon. The geological structure of the stab consists of three layers or levels. The base is 14 cm thick, made of firmest dolomite. The second level, probably the most interesting, is made of diopside glass, which is of volcanic origin. The technology of its treatment is not known to modern science, as we have today. Actually, the picture is marked on this level… on diopside glass. The third level is 2 mm thick, made of calcium porcelain, to eliminate reflections and shadows and to protect the map from external impact. It should be noticed, the professor said, that the relief has not been manually made, say, by an ancient stonecutter. That is simply impossible. It is obvious that the stone was machined. X-ray photographs confirm the fact : the stab is of artificial origin and has been made with some precision tools. At first, the scientists supposed that the ancient map could have been made by the ancient Chinese because of vertical inscriptions on the map. But a visit to the Chinese empire library negated the possibility : not one reference in literature or with writing similar to one on the stab was found. He, moreover, had to completely abandon the version with Chinese track because discussions specialists established that the porcelain covering the stab had never been used in China. All efforts to decipher the inscriptions were fruitless; though it became clear that they consisted of hieroglyphic-syllabic characters. Chuvyrov however states that he has deciphered one sign on the map : it signifies the latitude of today’s city of Ufa ! The longer the stab was studied, more mysteries arose from it. On the map, a giant irrigation system could be seen in addition to the rivers : there are two 500-meter (half a kilometer) wide channel systems that were 12,000 km long, with 32 dams, of which at least 12 of them were 300-500 meters wide each, approximately 10 km long and 3 km deep. Archaeo-hydrologic analysis of the region shows that for the last 60 million years the hydrographic system was already such as it is on the map. The dams most likely helped in turning the water in either side. However, the work required to create the system beats imagination : over 1 quadrillion (1000 trillion) cubic meters of earthwork ! In comparison, the existing Volga-Don Channel would seem like a scratch. As a man of science, Alexandr Chuvyrov believes that mankind today can build at the most only a small fraction of what is displayed on the stab map. It was difficult to determine even an approximate age of the stab. At first, radiocarbonic analysis was carried out, but they do not yield results for objects older than 46,000 years. Afterwards, levels of stab were scanned with uranium chronometer, and even those results proved unreliable. The age of the stab remained unclear. While examining the stone, two shells were found on its surface. The age of one of them – Navicopsina munitus of Gyrodeidae family – is about 500 million years, while of the second one – Ecculiomphalus princeps of Ecculiomphalinae subfamily – is about 120 million years. Also, the shellfish applied in the “dolomitisation” process belong to the family of the Narcopsina celote of the family of the Gyroideae. These shellfish appeared on the Earth 180 million years ago and became extinct 60 million years ago. That fact provided the time window inside which the shellfish were placed, and not fossilized. With that as the working version of its, the map was analysed for location of magnetic and geographical poles. “The direction of geographic center drawn on the map is located at an angle of 22 degrees from magnetic center. We can discover the age of the rock pad, thanks to Hiebert curves.” That meant, the map was probably created in times when the Earth’s magnetic pole was situated in Franz Josef Land, which was exactly 120 million years ago, professor Chuvyrov says. The dolomite is normally an extremely homogenous material but, in the layer of dolomite on the map there was no quartz which is usually found or magnesium silicate. We dug in the region of Chandar and removed close to 10,000 samples of dolomite, analysis of which revealed that none of them matched the dolomite present in the map. “It is artificial dolomite,” opines Chuvyrov. What could be the destination of the map? That is probably the most interesting thing. Materials of the Bashkir find were already investigated in Centre of Historical Cartography in Wisconsin, USA. The Americans were amazed. According to them, such three-dimensional map could have only one destination, a navigational one, and it could be worked out only through aerospace survey. Moreover, in the US now, work is being carried out for creation of three-dimensional world map, like that on Dashka’s Stone. Till date we have not heard if the project is complete. The great issue about compiling such a three-dimensional map is that it becomes necessary to work over too many figures. “Try to map just a mountain!” Chuvyrov says. “The technology of compiling such maps demands super-power computers and aerospace survey from the Shuttle”. So, who then did created this map? Chuvyrov, while speaking about the unknown cartographers, is wary : I do not like talks about some UFO and extraterrestrial. Let us call the author of the map simply “the creator”. It looks like that who lived and built the Dashka’s Stone used air as their only means of transport : there is no ways, roads or paths, on the map. Or they, probably, used water ways. There is also an opinion that the authors of the ancient map did not live there at all; they only prepared the place for settlement through draining the land. This seems to be the most probable version though nothing could be stated for the time being. Why not to assume that the authors belonged to a civilization which existed earlier ? Latest investigations of the map bring one sensation after another. Now, the scientists are sure of the map being only a fragment of a big map of the Earth. According to some hypothesis, there were totally 348 fragments like that. The other fragments could be probably somewhere near there. In outskirts of Chandar, the scientists took over 400 samples of soil and found that the whole map had been most likely situated in the gorge of Sokolinaya Mountain (Falcon Mountain). It tore to pieces during the glacial epoch. But if the scientists manage to gather the “mosaic”, the map should have an approximate seize of 340 x 340 m.
The map would seem to confirm the existence of an advanced civilization at a time when the world was dominated by giant reptiles. Conventional history and orthodox science declares that the first hominid did not arrive on the scene until 20 million years ago. Hence, a date for Dashka’s Stone as early as 120 milion years ago, if confirmed, could well rewrite the history of humanity and establish forever the antiquity of man. ” The time concept of modern archeology, and modern anthropology in general, resembles the general cosmological-historical time concept of Europe’s Judeo-Christian culture. Differing from the cyclical cosmological-historical time concepts of the early Greeks in Europe, and the Indians and others in Asia, the Judeo-Christian cosmological-historical time concept is linear and progressive. Modern archeology also shares with Judeo-Christian theology the idea that humans appear after the other major species. The author subjectively positions himself within the Vaishnava Hindu world view, and from this perspective offers a radical critique of modern generalizations about human origins and antiquity.” ~ from the Abstract to one of the papers published by Michael A Cremo, author of Forbidden Archeology. Human Enterprise : To Promise Or Futility ? Most thinking that men do are a release, a diversion away, a continuous roll into forgetfulnes and awareness. For instance, we keep trying to box the world in and how it is, but at different interfaces – morals, science, finance, politics, economics, business, govt… I find he is driven by something invaluable in his heart that aspires to beauty, dignity, truth and simplicity. That he is prepared to drive himself for the values he has, go long extra miles, day in and day out, makes it magnificent. Not that it reaches anywhere, except in the awareness he might raise into others or tune into the choir. Mostly, it is fiction, which fact takes nothing away from its paramount worth. I trust these intangible effects. It is their buildup over time, perhaps several generations, when social values might swerve towards “profit, as need” over “profit, as motivation” and “work, as need” over “work, for profit”. Orlando Serrell wasn’t born autistic – indeed, his savant skills only came about after a brain injury. In 1979, then ten-year-old Orlando was playing baseball when the ball struck him hard on the left side of his head. He fell to the ground but eventually got up to continue playing. For a while, Orlando had headaches. When they went away, he realized he had new abilities: he could perform complex calendar calculations and remember the weather every day from the day of the accident. What makes Orlando Serrell so unique is that he may indeed hold the key that unlocks the genius in us all. Orlando Serrell did not possess any special skills until he was struck in the head by a baseball when he was 10. And his extraordinary gifts seem to be his only side effect. Could this mean once a key hemisphere in the brain is stimulated, we can all attain the level of genius Orlando posses and beyond ? Will time and research really be able to tell ? Do we even need to wait for that ? Would a world of savants be really preferable ? But, is science really in a position to replicate Orlando effect to genius abilities ? I know we can give charge to our imagination and sci-fi fancy. But, my friends in science, you really believe every 10 year old can be given the equivalent of a baseball thud on left side of his head, with the assurance that he will stand up to be a genius from then on ? He coined the phrase “Libertes philosophica.” The right to think, to make philosophy. Homage To A Mirror-Heart Long In The Past. Bruno was born five years after Copernicus died. He bequeathed an intoxicating idea to the generation that was to follow him. We hear a lot in our own day about the expanding universe. We have learned to accept it as something big. The thought of the Infinity of the Universe was one of the great stimulating ideas of the Renaissance. It was no longer a 15th Century God’s backyard. Bruno tried to imagine a god whose majesty should dignify the majesty of the stars. He devised no new metaphysical quibble nor sectarian schism. He was not playing politics. He was fond of feeling deep thrills over high visions and he liked to talk about his experiences. And all of this refinement went through the refiners’ fire — that the world might be made safe from the despotism of the ecclesiastic 16th Century savages. He suffered a cruel death and achieved a unique martyr’s fame. He has become the Church’s most difficult alibi. She can explain away the case of Galileo with suave condescension. But Bruno sticks in her throat. When he was thirteen years old, he began to go to school at the Monastery of Saint Domenico. It was a famous place. Thomas Aquinas, himself a Dominican, had lived there and taught. Within a few years Bruno had become a Dominican priest. He was frank, outspoken and lacking in reticence. It was not long before he got himself into trouble. It was not Bruno’s behavior but his opinions that got him into trouble. So he went away from school, his home town, his own country, looking for a congenial atmosphere for his intellectual integrity. It is difficult not to get sentimental about Bruno. He was a man without a country and, finally, without a church. There, near the end of the 16th Century, he was closed in on all sides by the authority of priestly tradition, making a philosophical survey of the world which the science of the time was disclosing. The scientists themselves were too intrigued with telescopes, microscopes and chemical glassware, to bother about philosophy. In 1581 Bruno went to Paris and delivered lectures on philosophy, infusing people with the fire of his ideas. His reputation reached King Henry III, who became a real patron in making a success of his short career in Paris. He published his work, De Umbras Idearum ( The Shadows of Ideas ), which was shortly followed by Ars Mernoriae ( Art of Memory ). He held that ideas are only the shadows of truth and denied the value of establishing Church dogma with reason. That, Christianity was entirely irrational and contrary to philosophy, and it disagreed with other religions. In his fourth work he selects the Homeric sorcerer Circi who changed men into beasts and makes Circi discuss with her handmaiden a type of error which each beast represents. The book ‘Cantus Circaeus,’ The Incantation of Circe, shows Bruno working with the principle of the association of ideas, and continually questioning the value of traditional knowledge methods. When the novelty of Bruno’s ideas had worn off on the French, he went to England to begin all over again. With a fresh audience. He did not make contact with Oxford which, like other European universities of the time, paid scholastic reverence to the authority of Aristotle. It was not the methods of Aristotle nor his fine mind that was so much issue, as it was the authority of Aristotle. That, a thing must be believed because Aristotle said so. In his work The Ash Wednesday Supper, a story of a private dinner with English guests, Bruno spreads the Copernican doctrine as new astronomy offered to the world, upon which people were laughing heartily because it was at variance with the teachings of Aristotle. Bruno pushed a spirited propaganda in in favour of new truths when, between 1582 and 1592, there was hardly a teacher in Europe who was openly and actively spreading news of the “universe” that Copernicus had charted. Having no secure place in either Protestant or Roman Catholic religious communities, Bruno carried on with his long fight against terrible odds. He had lived in Switzerland and France and was now in England, which he soon left for Germany. He translated books, read proofs, and got together groups and lectured for whatever he could get for it. It requires no great stretch of the imagination to picture him as a man who mended his own clothes and was often cold, hungry and shabby. There are only a few things that we know about Bruno with great certainty and these facts are the ideas which he left behind in his practically forgotten books, the bootleg literature of their day. By the year 1582, Bruno had issued very science-centered thoughts, considered heretical by the clerical authorities of southern Europe. He had written of an infinite universe that had no room for a yet greater entity called God. That blasphemed against schema outlined by Aristotle and tenets in Genesis taught by the Church and universally believed by low and high everywhere. Bruno’s philosophy negated the mysteries of Virgin Mary, Crucifixion and Mass. He seemed to have been so absorbed in truths he hurriedly exposed that he did think of them as heresies. He considered the Bible as a book which only the ignorant could take literally and the Church’s methods were, to say the least, unfortunate. After 14 years of wandering about Europe Bruno turned his steps toward home. Perhaps he was homesick. After twenty years in exile, we may imagine him craving the sound of his own native tongue and the companionship of his own countrymen. Some writers have it that he was framed. For Bruno to go back to Italy is as strange a paradox as the rest of his life seems in that bigoted era. For six years from 1593, he lay in a Papal prison. Was he forgotten, tortured ? The Papal authorities have till date not summoned enough the courage to overcome their shame and publish the historical records. Bruno was interrogated several times by the Holy Office and convicted by its chief theologians. He was given forty days to consider his position and, by and by, he promised to recant but did not desist from his “follies.” He got another forty days for deliberation but did nothing but baffle the Pope and the Inquisition. At last, in the custody of the Inquisitor, on 9th February, Bruno was taken to the palace of the Grand Inquisitor to hear his sentence, on his knees. Bruno answered the sentence, of death by fire, with damnation : “Perhaps you, my judges, pronounce this sentence against me with greater fear than I receive it with.” He was given eight more clays to see whether he would repent. But that was futile. Bruno was led to the stake on the 17th of February, 1600. He was offered a crucifix, which he pushed away with scorn. Six months later, Bruno’s works were placed on the Index Expurgatorius; his books became rare. They never gained popularity and were soon forgotten. As was the martyr himself… the pioneer who roused Europe from its long intellectual blindness. Galileo never met Bruno in person and makes no mention of him in his works, though he must have read some of them. He may not be blamed for being diplomatic enough to withhold mention of a recognised heretic. Sixteen years after Bruno met his fate, Galileo faced the Inquisition in the same hall that had sentenced the predecessor ! Bruno is the numero uno among all martyrs who were persecuted for their beliefs. He was not a religious sectarian, caught up in the psychology of a hysterical mob. He was a sensitive, imaginative poet, fired with the enthusiasm of a larger vision of a larger universe … and he fell into the ‘ error ‘ of heretical belief. He was kept in a dark dungeon for years, for his quest of an order that admits intellectual integrity. And, at the end, he was taken out to a blazing market place and roasted alive. It is an incredible story. The “Church” will never outlive him. Amen. Einstein spoke about his ” only ” interest being whether God had any choice in manifesting the universe and this observed creation. My own suggestion is that if we do not know we will always think along those lines. To the uninitiate, the desktops of today would seem to be thinking entities ! So, do we know enough ? Were you aware of the facts ? Did know their truth ?